BA (Secondary Teaching Credentials) Drake University (1972). Current Position: Private practice. Founder: McGill Law Office & Mediation Center (1988). Particular mediation emphasis in the areas of: special education, human rights, family law, parenting plans, labor relations, debtor/creditor, real estate, construction defects, and non-profit corporations. Past Positions: 20+ years in a variety of human service settings including: public education, youth employment, Head Start, anti-poverty programming, and contract training services at state/federal levels regarding labor relations and non-profits. Mediation Experience and Training: Over the course of the last 17 years, I have mediated several hundred cases regarding the above-referenced matters. I am a qualified neutral (mediator/arbitrator) on the Minnesota Neutrals Roster and a Florida-certified Family Mediator. I serve as a member of the following mediation panels: Minnesota Special Education Mediation Panel, Wisconsin Special Education Mediation System, and the Minnesota Department of Human Rights Mediation Program. Additionally, I am a member of the Association of Conflict Resolution and a director/member of Conflict Resolution Minnesota. 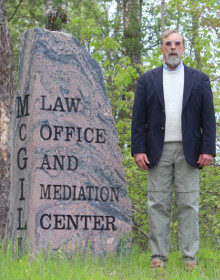 I received my initial mediation training from Hamlin Law School (1993) and since then have completed numerous continuing education programs. Perspective on Mediation: As a mediator, I utilize a party-centered approach influenced not only by my mediation and legal training but also by my experiences in the area of guidance and counseling. As the neutral, my objective is to assist the parties in clarifying issues and exploring/developing collaborative resolution(s) regarding the parties’ issues. My philosophy is that the mediation process provides parties the opportunity to be in control of how their issues are resolved without having to turn the matter over to a decision maker.